Day 1 of Boo Buddies was a success! I got my favorite drink today - Pumpkin Spice Late from Starbucks. What a great start to the week! 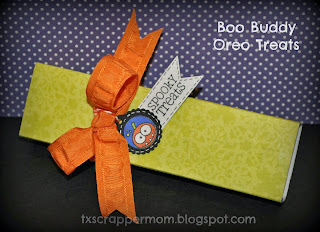 My Boo Buddy's favorite dessert is Oreos! 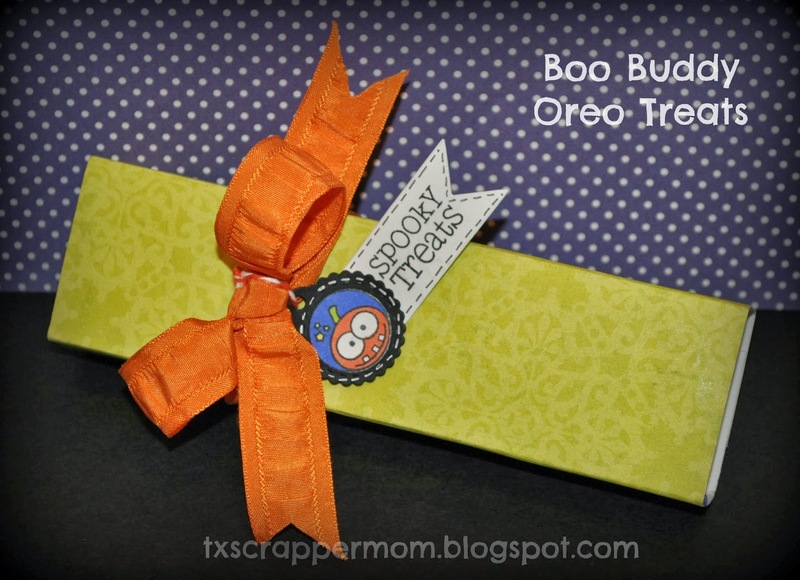 I made a quick little box to put an individual 6-pack of Oreos.. I've got 3 posts coming up tomorrow (so I've spaced them out)! I've been very busy getting treats ready for a few kids who will be very happy come Halloween!